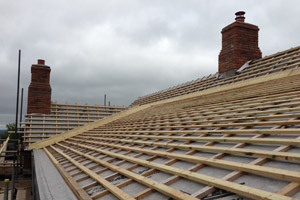 C&T Bain provide a specialist and complete roofing service throughout South Wales and the rest of the UK. Based in Brecon, C&T Bain have over thirty three years of experience in the roofing and lead work industry, providing services to both domestic and commercial clients. We can undertake all kinds of roofing work, from full installation and repair work to chimney repair and sale of Welsh reclaimed slate. We pride ourselves on our craftsmanship and work ethic as well as our ability to please our customers. At C&T Bain our wealth of experience in the roofing industry means we offer you honest and accurate advise on all roofing issues. 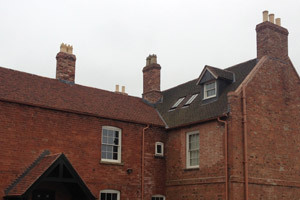 We have vast experience with listed buildings and have the skills and understanding to ensure relevant procedure is followed when making alterations to listed buildings/properties. © 2019 C&T Bain. All Rights Reserved.